Consider your needs met. Our accommodations and amenities are in place to help you maximize every moment and remove any interferences for your perfect getaway. 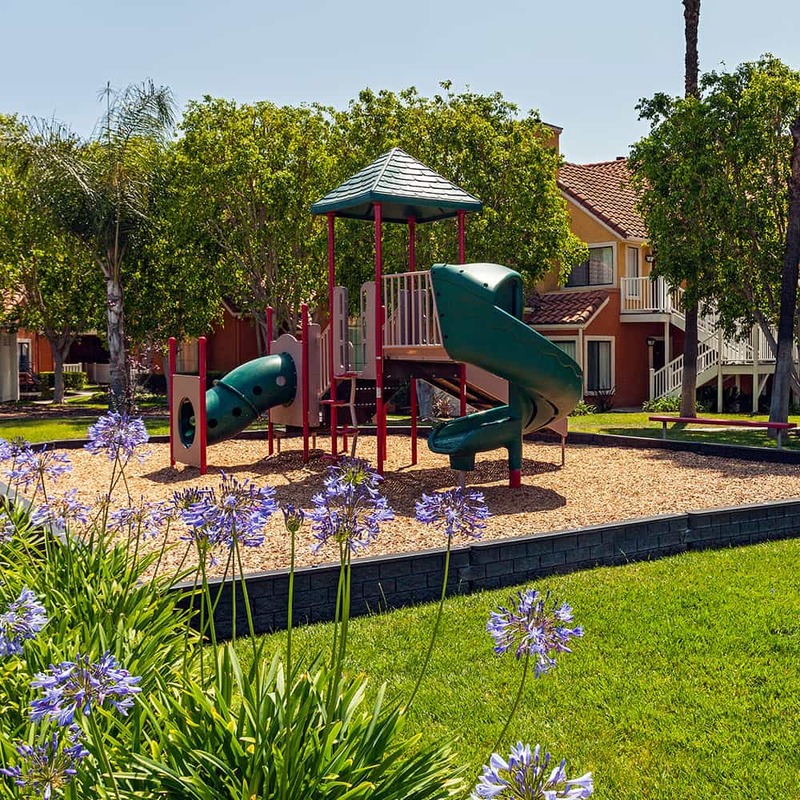 Whether it’s coordinating your day at Disneyland® Resort or giving you a place to buy some extra diapers, enhancing your comfort and adding magic to your stay is our goal. 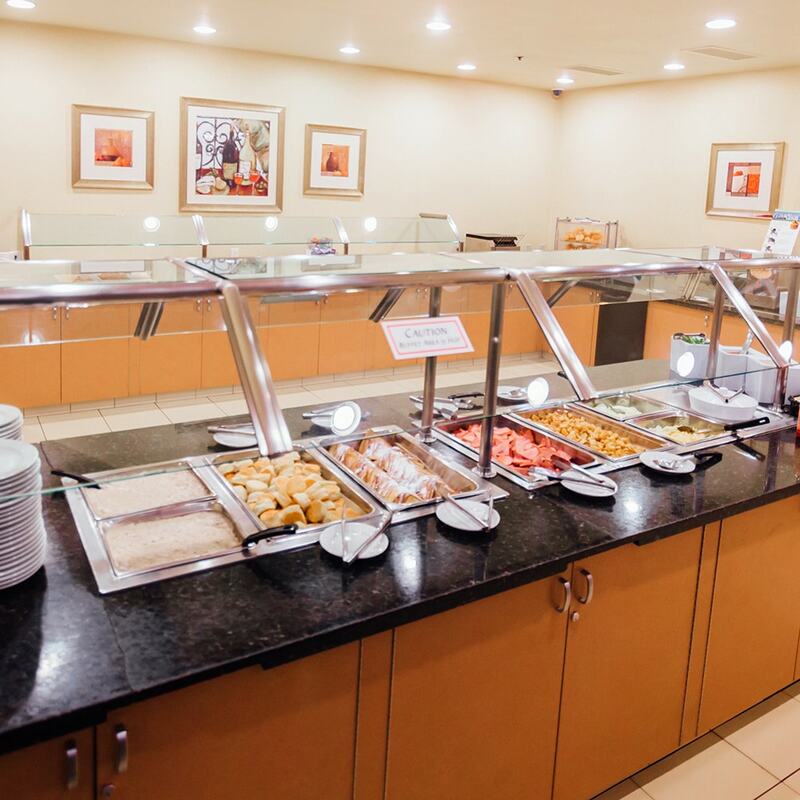 A delicious American breakfast buffet awaits every guest each morning at Clementine Hotel & Suites. Along with our convenience store, you can always find a quick and delicious meal for your trip. Breakfast is served from 6:30 a.m. – 9:30 a.m., Monday through Friday, and 7:00 a.m. – 10:00 a.m., on weekends and major holidays. Get your groceries delivered straight to your Clementine kitchen. Make your stay even more comfortable with this incredibly convenient service. Perfect for a soothing dinner by the fire with the family, this community-focused area is where guests come for relaxation and friendly conversation. Forget anything? We didn’t. 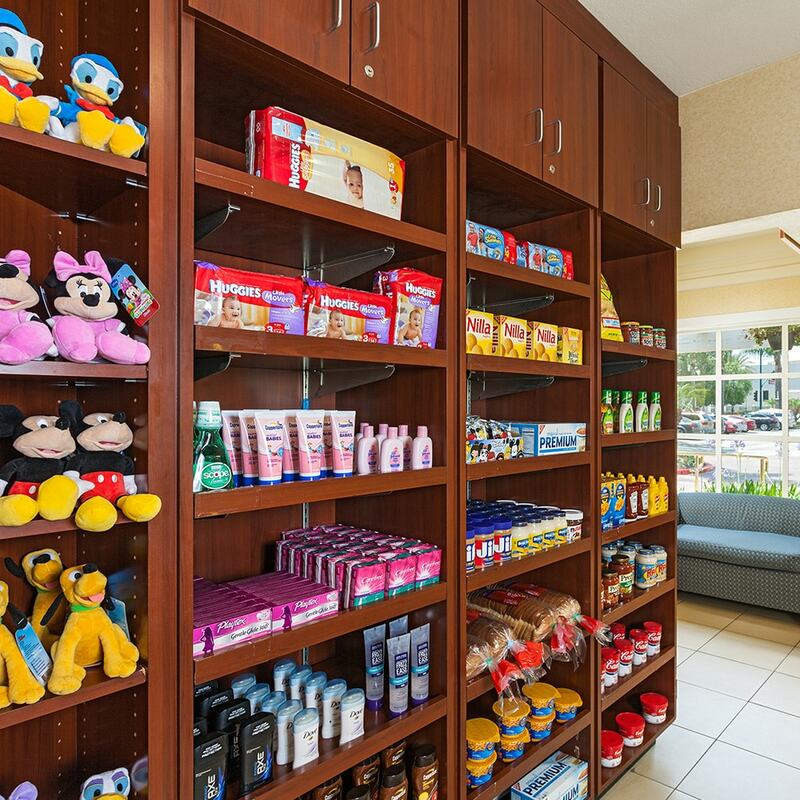 Located in our lobby, the Clementine Mart is like having your very own convenience store on property, with offerings to fill in those small needs during your stay. Parents know that little ones can get a little restless. When they do, take a visit to our on-site playground so they can slide and climb until it’s time for their next adventure. When the day has left its mark on you, take advantage of our on-site laundry and dry cleaning services to help freshen up your fashion. 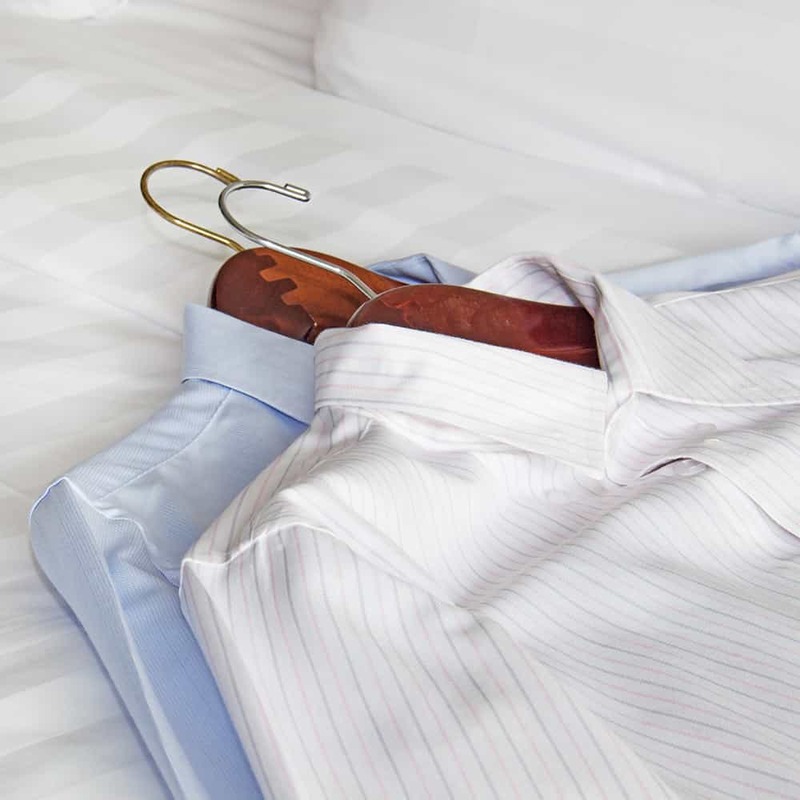 For a fee, laundry services are accessible to guests 24/7 and dry cleaning is available Monday through Friday. If the ocean is too far and you need to beat the heat, just head down to our pool for a quick dip. Always heated, our outdoor pool is open daily from 6:30 a.m. – 11:00 p.m., and provides a great way to cool off before or after your long day. Just because you’re on vacation doesn’t mean you can’t get your sports fix. 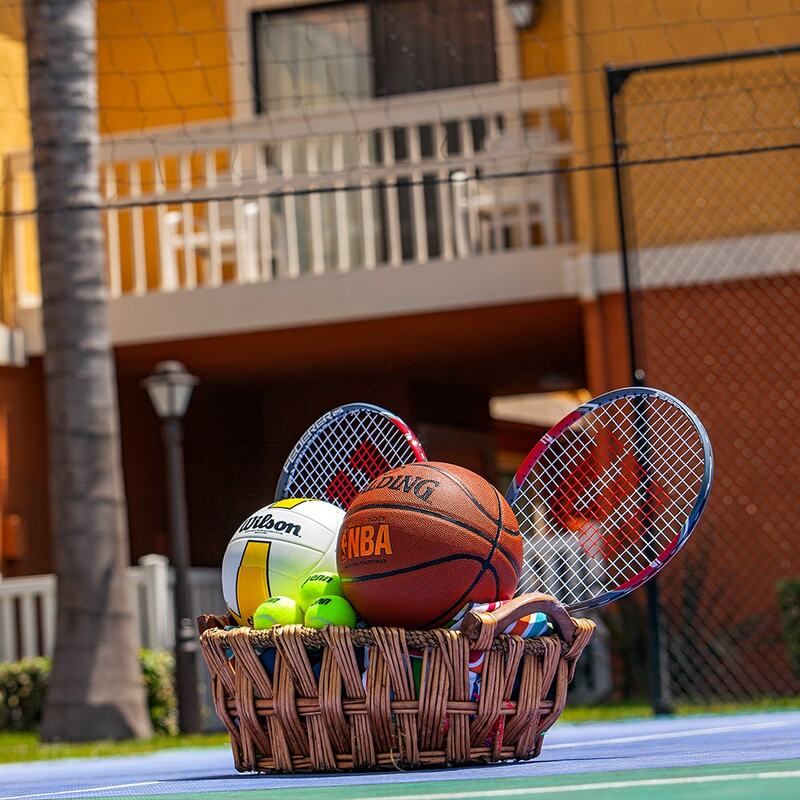 With our sports court, guests are free to play tennis, basketball, or volleyball from 9:00 a.m. – 9:00 p.m., daily. Visit our front desk for complimentary equipment. Our fitness center offers cardiovascular equipment and is open 24-hours per day for our guests who need to burn off those calories from the fried donuts and frozen lemonades of the day. 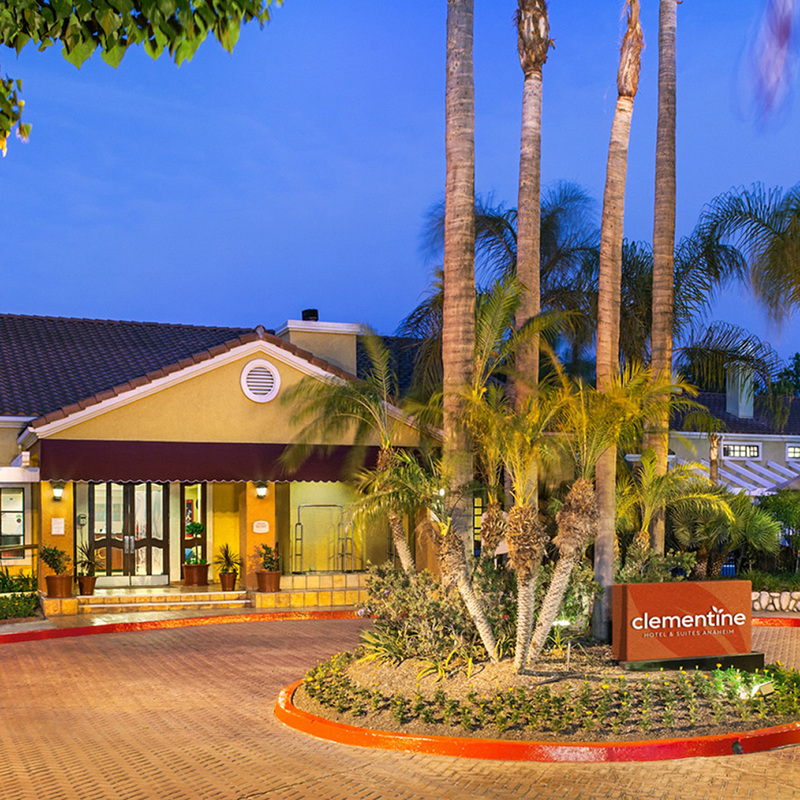 At Clementine Hotel & Suites in Anaheim, we take accessibility seriously. 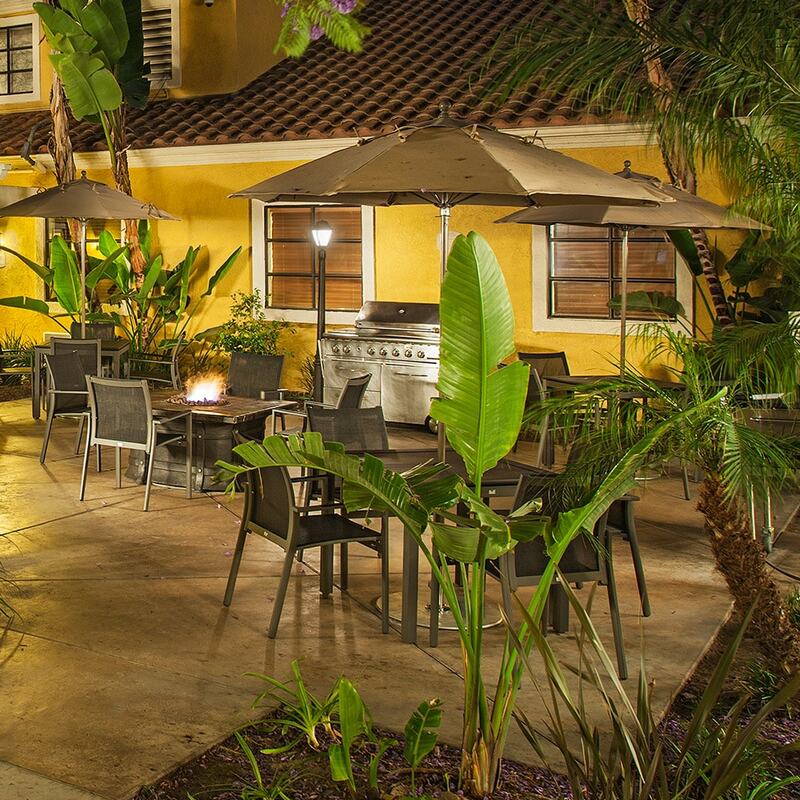 Click below to learn more about the accessible features of our hotel.